Credit : Image copyright Perce Jerrom, courtesy of DVD IS DEAD. Tap to load … One performs this directive and motion when viewing moving media through a smart phone. 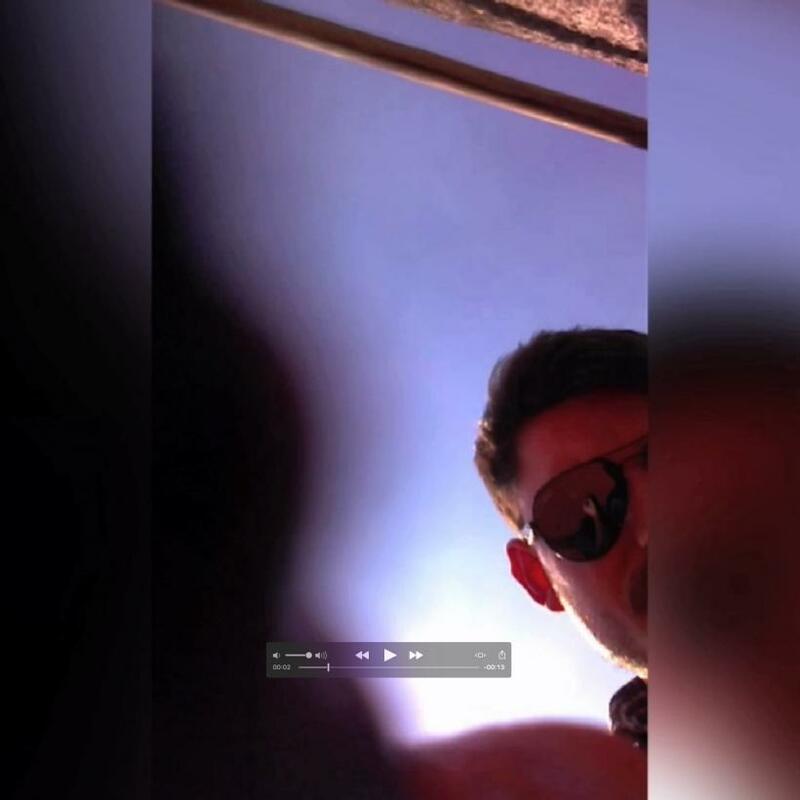 Presented on DVD is Dead, an Instagram-based video channel, Perce Jerrom’s new video works ‘Camera Phone Colour Filter Tutorial’ and ‘Telescreener’ interrogate our relationships with screens and their influence on how we perceive. Jerrom blurs the boundaries between the personal and the universal through a formal and theoretical analysis of online image production. He critically engages with the embodied experience of consuming content via our phones – an intimate, gratifying, yet invasive interaction. 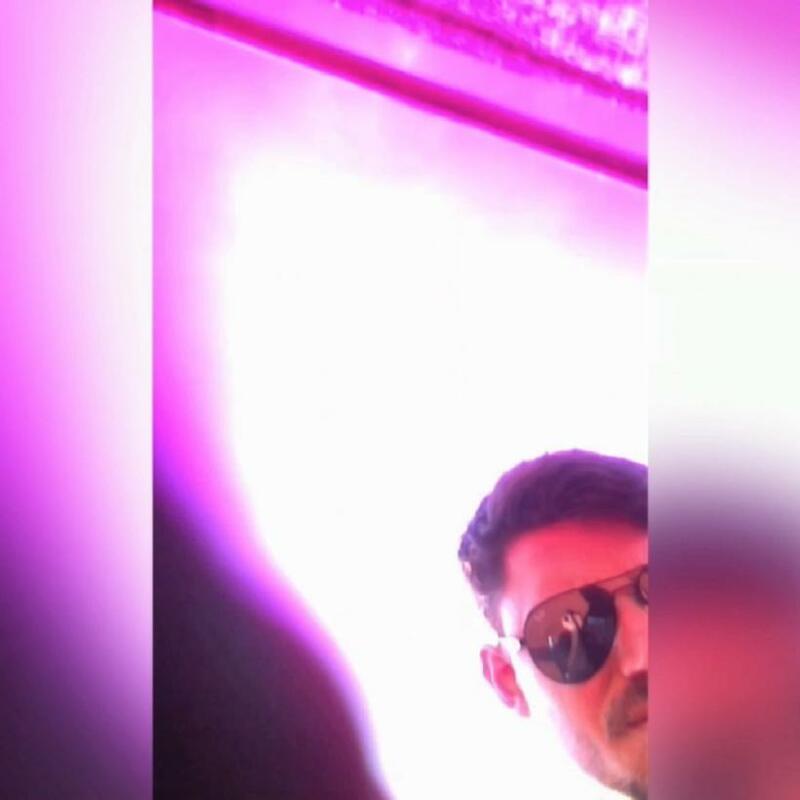 In the first 15-second clip of ‘Camera Phone Colour Filter Tutorial,’ a marker rapidly brushes against the screen, filling the frame with a translucent purple colour, while the top of the artist’s head intermittently enters the frame. 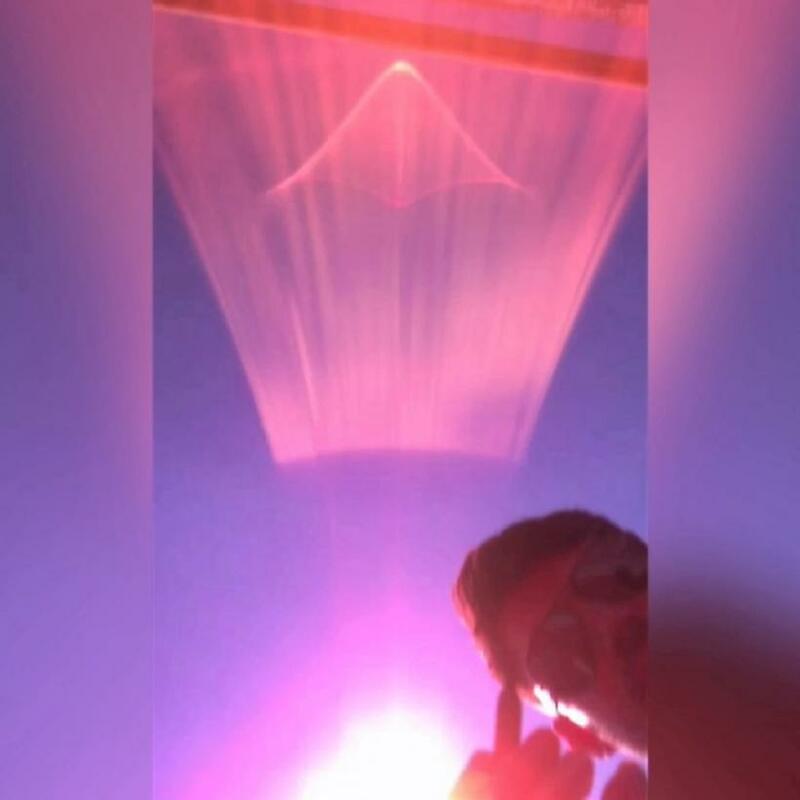 The video ends with a rooftop view of buildings as he briefly demonstrates the effect of the newly created filter. Jerrom repeats this action six more times, each video featuring a different colour. In a time where one can apply visual effects by simply tapping or swiping, the artist’s choice to make these filters highlights the physicality of the lens and the labour of the hand. Using this unnecessary manual process, he examines the space between representation and reality, questioning the objectivity of perception and illusion of control. Informed by do-it-yourself tutorial videos, the artist’s tutorial is effectively pointless. 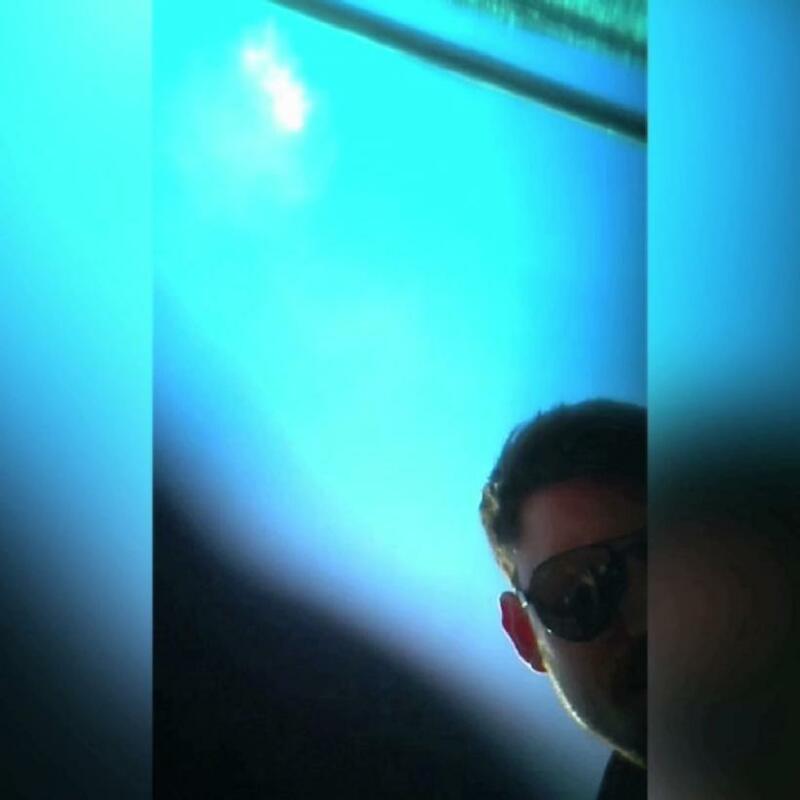 He performs repetitively for the camera in an automated manner that illustrates an obsolete skill – a self-reflexive gesture. The internet and its social media apparatuses are designed and engineered to manipulate us into believing that by applying a filter, for example, we have expressed or even created a representation of our subjective perspective. Jerrom dismantles the construction of this myth. Moreover, this work acknowledges that physical reality and virtual reality exist through each other, rather than in contrast to one another. The ubiquity of screens and dissemination of media has affected and shifted the manner in which we receive and exchange visual information. 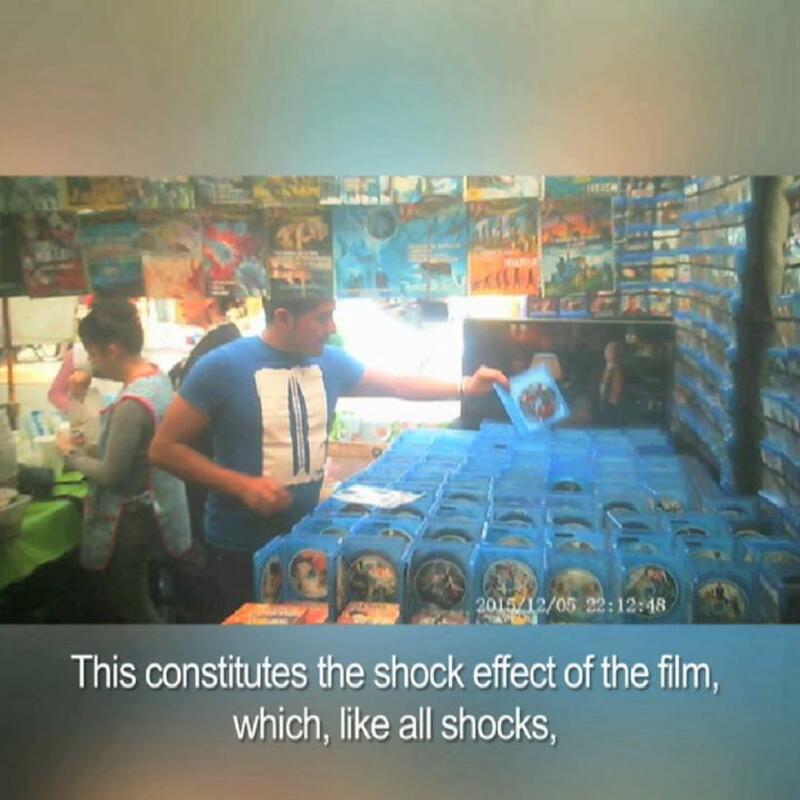 In ‘Telescreener,’ a documentary-style video series, the artist inconspicuously records the inside of a bootleg DVD market, which is filled with makeshift stalls stocked with replicas of popular western films. 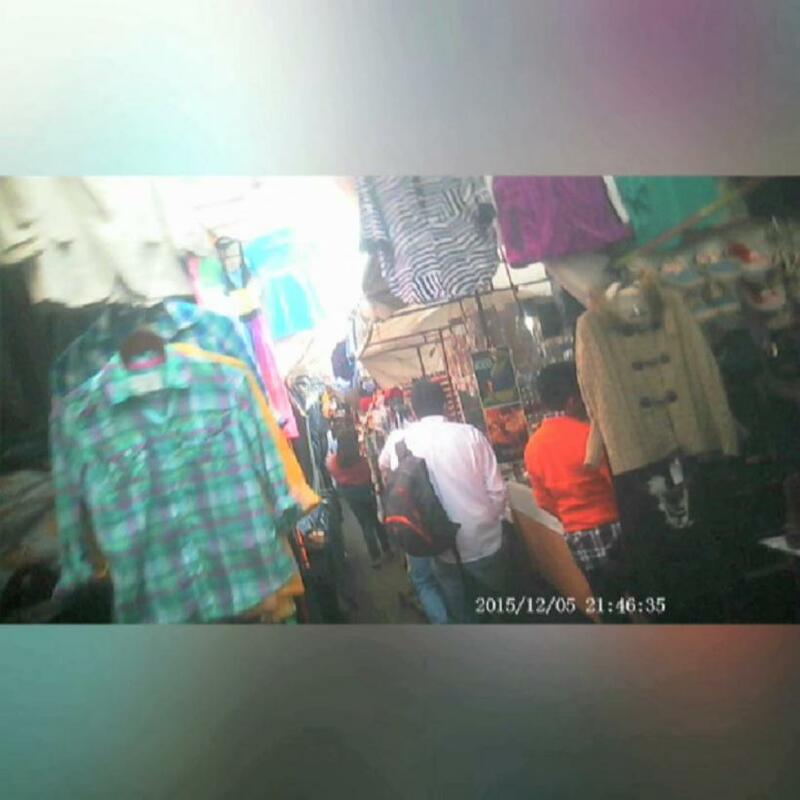 The unsteady camera weaves through the maze of people and product, mimicking the act of handheld filming that occurs in the pirate movie industry. 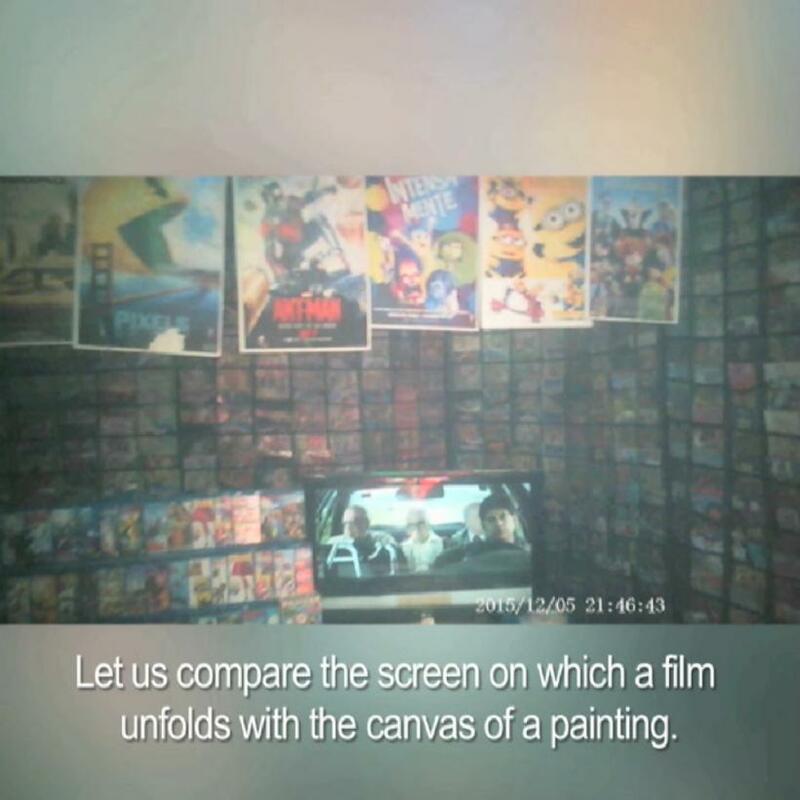 The videos feature various stalls that are slightly differentiated by the number and size of screens they contain. Screens simultaneously play a sampling of films available for sale, and the chattering of people hums throughout. 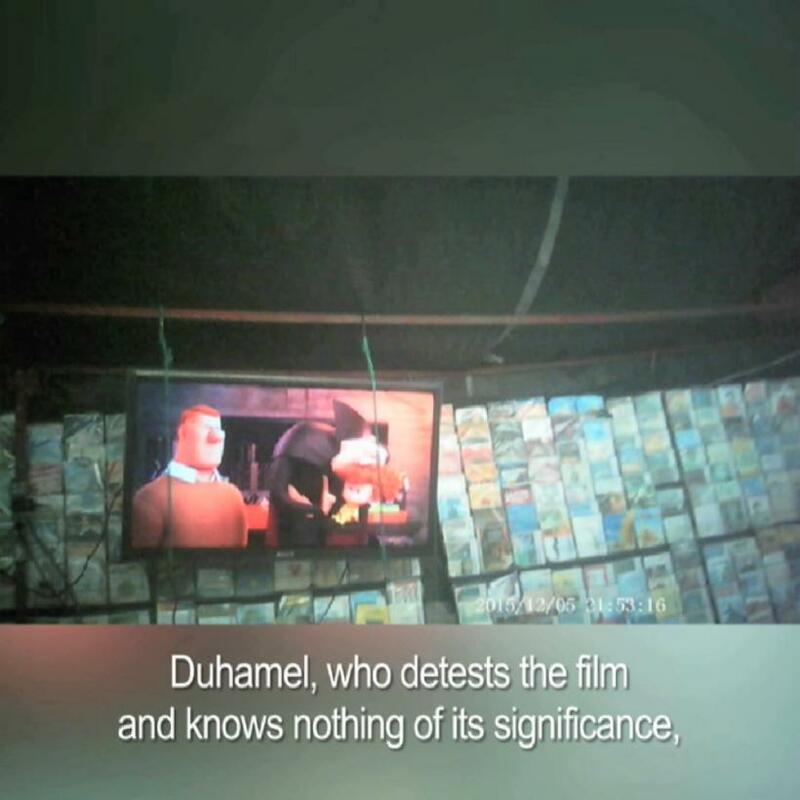 Different excerpts of Walter Benjamin’s ‘The Work of Art in the Age of Mechanical Reproduction’ accompany all the videos. In this series, Jerrom recontextualises Benjamin’s ideas and explores the epistemology of images and media in the 21st century. 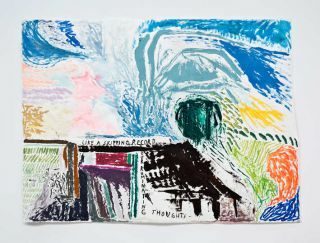 ‘The painting invites the spectator to contemplation; before it the spectator can abandon himself to his associations’. The artist’s use of text, such as this Benjamin quote, not only reflects on our relationship to the image, but also reveals its pervasive psychological effect in our daily life. He questions the value of the image and the relevance of the artist in an age of instantaneous reproduction by intentionally including this critical text. The copying of the copy is an important anchor in this series because it points to the propagation and redistribution of mass media, and implicitly asks how often an image can be degraded before it is defunct. Jerrom complicates our acclimation to screens in the everyday and reminds us of the obsessive and capitalistic tendencies associated with images. Screens are now extensions of ourselves as well as our lived experience. As one video quotes Benjamin, ‘I can no longer think what I want to think. My thoughts have been replaced by moving images’. Employing self-referential tactics in these videos, Jerrom proposes a reconsideration of the screen – not only the impact they have on the way we view, communicate, and act, but also the complexities of our now symbiotic relationship. 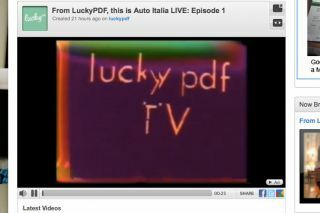 From LuckyPDF TV, this is Auto Italia LIVE, episode 2. Saturday at 5pm!